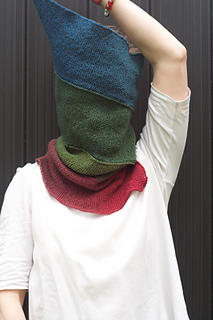 This is the third pattern of Strickmich! Club 2017. It was exclusive to club members during the first 6 months after its publication. Dark alleys, intense colors, unforgettable melodies and a tragic love story – “West Side Story” is one of the biggest music movies of all time, and great to watch while knitting. 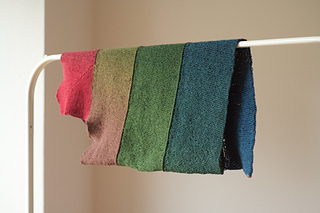 Preferably something that goes well with the colors and theme of the film, like “Spiral Escape”: A cowl made from a gradient yarn whose colors resemble those of the backgrounds in the movie. The spiraled construction mirrors the iconic fire escape stairs that are a visual theme of the musical and New York City. 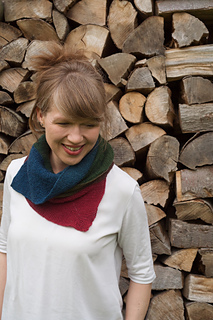 And this cowl is really easy to knit! 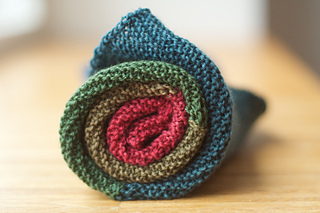 Start with a little square and go on in garter stitch, knitting back and forth while forming the spiraled shape on the go by simply knitting two stitches together. No seaming! The last finishing touches are done with a crochet hook. 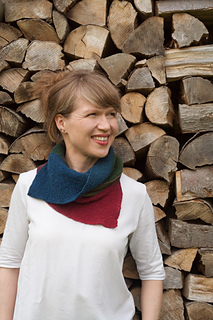 The result is a warm and beautiful cowl in fascinating dark and intense colors, perfect to wear during fall. 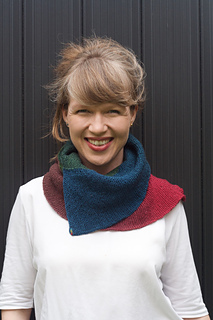 In this video I talk about the design and the yarn. 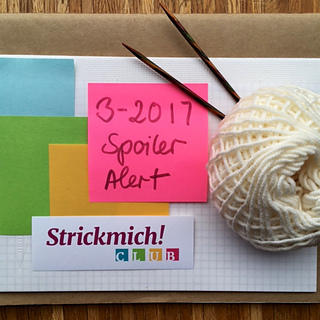 Dritte Anleitung aus dem Strickmich! Club 2017. Sie war sechs Monate lang nur für Clubmitglieder verfügbar. In diesem Video stelle ich das Design und das Garn vor.